Humphrey James (Jim) Bowkett was born 5 Nov. 1892 in Geraldine. He was the son of Thomas BOWKETT & Sarah CLEAVER, who arrived in NZ on the steam ship 'Columbus' in 1874, having married a few months earlier in Coventry. Thomas was born 1848, at Helston, Cornwall. He was a coach builder in Timaru until 1885 when he & his wife & family moved to Geraldine. At a later date Thomas moved back to Timaru where he set himself up in partnership in a finance company which was known as Starr-Bowkett. 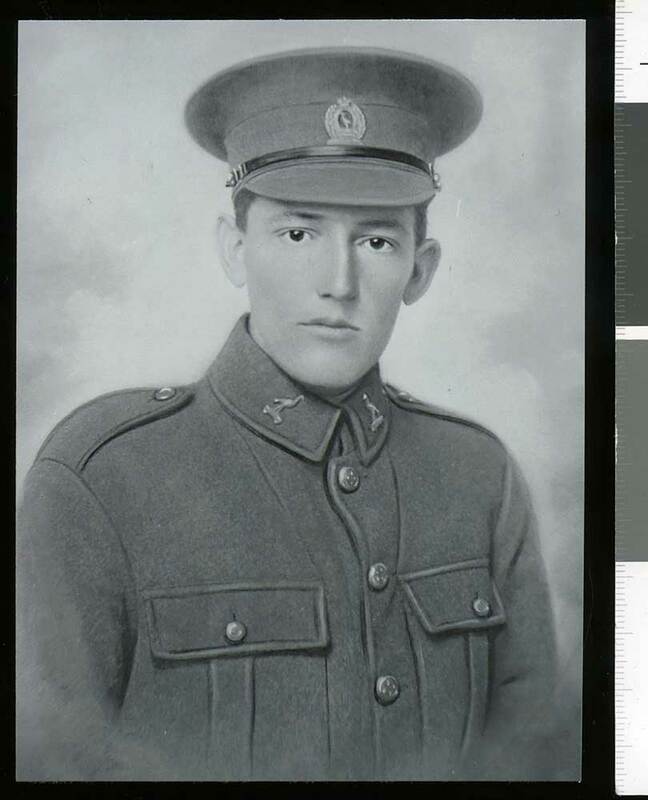 During WW1 Thomas's son Jim served in the NZ Army. He spent 5 months in France & Belgium. He endured the horrors of the trenches at Passchendaele where in October 1917, he was wounded & gassed. He was then discharged & spent a few months in hospital, first at Abbeville, France, then at Bathurst in England. He returned to NZ in early 1918 and in 1921 married Euphemia Davidson McPherson , (Phemie) at St. Paul's, Highfield, in Timaru. They later moved to Geraldine where Jim set himself up in his own tailoring business. They had three children [James b.1921, Joan b.1925, and Georgina b.1929 - see attached notes by G M Barnes for more] & Jim continued in tailoring for all of his working life. He was a foundation member of the Grande View Golf Club which was close to his home in Gresham Road. He died in June 1957.